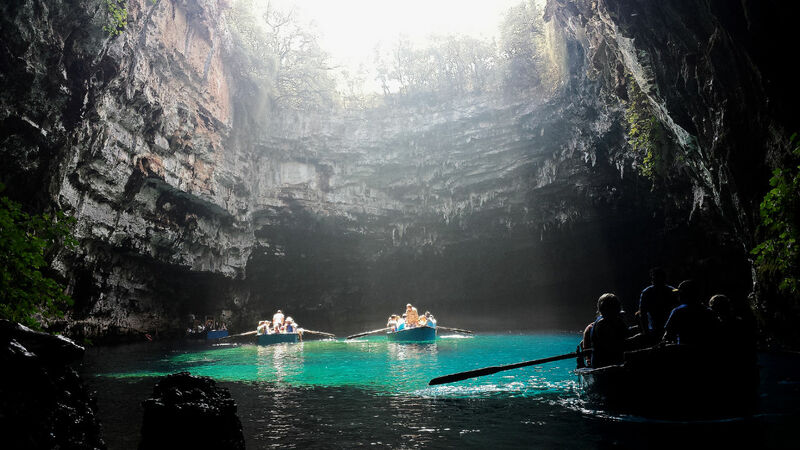 The Cave of Melissani is a unique geological phenomenon that you must visit. The lake is located twenty meters under the ground and at the center there is a little island. Important finding prove that rituals took place here, devoted to the God Panas and the Nymphs, secondary goddesses, protectors of the forests and nature. The breathtaking landscape of the cave was created from a part of the ceiling that collapsed, letting the sun beams touch the surface of the lake and give the water its turquoise color. Blue waters, 20.000 year old stalactites and the unique geological formations make this place majestic and dreamy. Prepare yourselves for the best boating ride of your life!